Oscar Mireles is a published poet and editor. Mireles’ poetry has been published in over 50 different publications. Oscar has been writing poetry for the past 35 years. Mireles is the editor of three anthologies titled ‘I Didn’t Know There Were Latinos in Wisconsin: 20 Hispanic Poets’ (Focus Communications, 1989) and ‘I Didn’t Know There Were Latinos in Wisconsin: 30 Hispanic Writers’ (Focus Communications, 1999). I Didn’t Know There Were Latinos in Wisconsin: 3 Decades of Hispanic Writing (Cowfeather Press, 2014) He also produced a chapbook titled ‘Second Generation’ (Focus Communications, 1985). 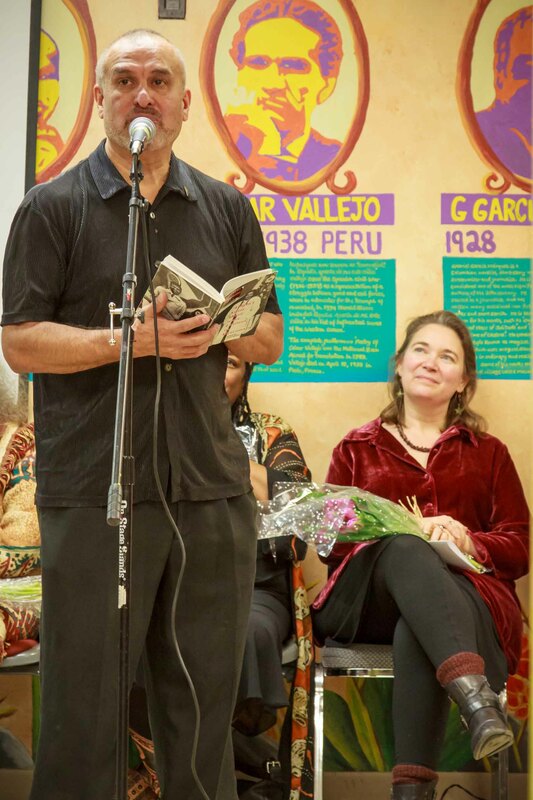 Oscar Mireles has received grants for his writing activities from the Wisconsin Arts Board, Dane County Cultural Affairs Commission, Wisconsin Humanities Committee, Wisconsin 150th Sesquicentennial Commission, Madison Civic Center Foundation and Wisconsin Center for the Book. He received a fellowship to spend a month at the Vermont Studio Center, an artist colony. Mr. Mireles was selected as the 6th Poet Laureate of the City of Madison for the years 2016-17. 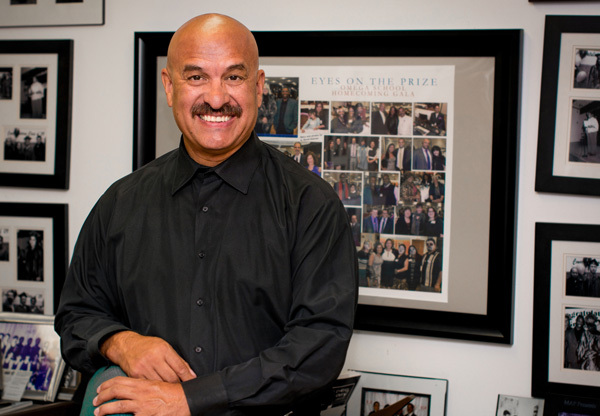 Oscar Mireles has been the Executive Director of Omega School for the past 22 years. Omega School provides adult basic education services (GED Preparation) in Dane County. During his tenure, Mr. Mireles has assisted over 3000 young adults with securing a GED/HSED credential. The GED/HSED credential serves as an access point for entry level employment and/or post-secondary education. Mr. Mireles helped establish an endowment for the school and raised funds to purchasing a building and permanent home for Omega School. 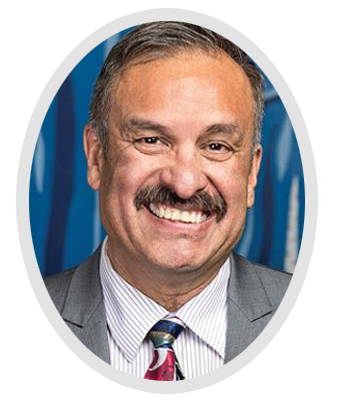 Mireles has been a National Trainer for the Time Warner’s Time to Read Program, the nation’s largest corporate based literacy program. For the past 17 years, he has trained over 1,500 corporate and volunteer tutors in Time to Read sites in New York, Chicago, Houston, Kansas City, Columbus and Minneapolis. He was employed for 10 years in various positions at Centro de la Comunidad Unida/United Community Center (UCC) in Milwaukee, before being promoted to Associate Executive Director. Twenty-five years ago Oscar Mireles published the anthology, I Didn’t Know There Were Latinos in Wisconsin: 20 Hispanic Poets. 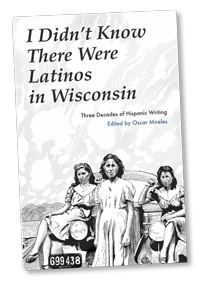 This third volume in the series includes the work of more than thirty authors of poetry, essay, memoir, and fiction and demonstrates once again the breadth and depth of Wisconsin’s Latino/a population. Not strangers, not new arrivals, these authors represent an important part of the region’s cultural and social fabric.